Dolls: red or black; capsules or tablets; washed down with vodka or swallowed straight--for Anne, Neely, and Jennifer, it doesn't matter, as long as the pill bottle is within easy reach. 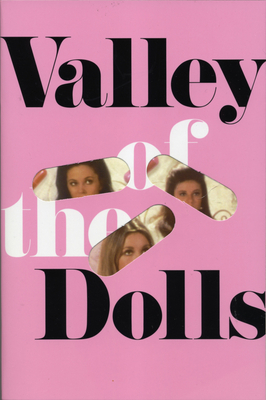 These three women become best friends when they are young and struggling in New York City and then climb to the top of the entertainment industry--only to find that there is no place left to go but down--into the Valley of the Dolls. Jacqueline Susann left her hometown of Philadelphia at eighteen and moved to New York where she acted extensively and won the Best Dressed Woman in Television award four times. But it was the success of her three blockbuster novels--Valley of the Dolls, The Love Machine and Once Is Not Enough--that transformed her into the Pucci-clad media superstar we remember today. Jacqueline Susann was married to producer Irving Mansfield. She died in 1974.